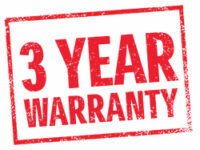 An executed warranty certificate provides consumers with a warranty for 24 months from the date of purchase for any defects that can be shown to be attributable to manufacturing errors or faulty material. The warranty does not apply to rental bindings. The warranty is only valid if work done on the bindings such as mounting, adjusting, adaptation and repairs has been performed by a specialist Fritschi dealer. Damage that arises through natural abrasion, excessive or improper use, external influences such as fire, heat, water, etc., through non observance of the instructions, improper care, no or non conform maintenance, are not considered as defects and are, thus, excluded from all warranties. To exercise the warranty, service is required by a specialist Fritschi dealer. The defective binding or defective binding parts must be provided to the specialist Fritschi dealer along with the warranty certificate. Upon receipt, Fritschi AG Swiss Bindings shall decide whether the defective binding is to be repaired or replaced. You only have to registrate your bindings on our website and you additionally get 12 months of warranty as a gift! Fritschi binding settings are consistent with the DIN ISO 11088 standard which applies to the mounting, adjusting and testing of the ski binding – ski boot unit. The settings provided by the specialist Fritschi dealer APPLY ONLY TO THOSE BOOTS FOR WHICH ADJUSTMENTS WERE MADE and may not translate to different pairs of boots than tested by the specialist Fritschi dealer. Accordingly, you are informed and acknowledge that the adjustments provided by the specialist Fritschi dealer may not be appropriate for variations in assorted boot configurations.